Many people may not realize this, but studies have shown that it only takes 20-30 seconds to make a lasting impression in a job interview. This is an extremely important factor that should not be taken lightly. There are several things you should be aware of when attempting to make a positive lasting impression. Factors such as appearance, body language, timing and even your hand shake can make or break your odds of getting the job. 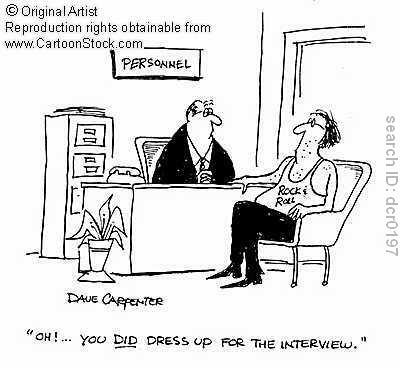 When it comes to interviewing, your appearance is very important. Some examples of apparel and accessories that should NEVER be worn to an interview include: hats, sunglasses, t-shirts, headphones, bright or large decorative clothing, short skirts, sandals/flip-flops, heavy makeup, facial piercings, visible tattoos, short sleeve shirts and strong perfumes or cologne. Now that you know what not to wear, you should also know what not to say in an interview. It’s difficult to anticipate and prepare for all the questions you’re going to be asked, but here are a few common questions that you should be prepared for. Wrong Response: I need a job bad, and I’ve been turned down everywhere else. Appropriate Response: After visiting the company’s web site and learning more about the success the company has had in the industry, I’m confident this will be a rewarding place to work and continue to grow as a professional. Wrong Response: I don’t get along with my boss, and my coworkers are difficult to work with. Appropriate Response: I’m looking for new and exciting challenges in an environment where I can use my skills to help my employer’s company succeed. Wrong Response: I have a gambling problem, and I really need to pay off my debt. Appropriate Response: I have the skills to hit the ground running. Now that I know more about what you are looking for, I’m even more confident that I can exceed your expectations. Knowing what to wear and what to say takes practice, time and effort. Do your research, dress for success, and do your best. 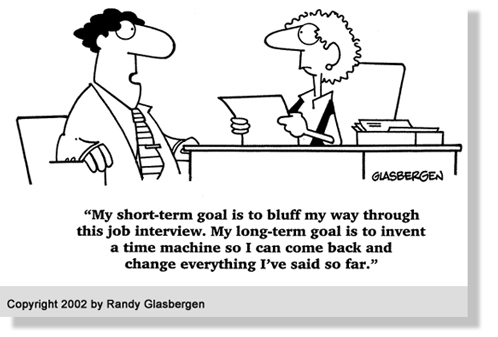 You are unlikely to get hired after every interview, but you are very likely to learn something from each interview. For more great examples of Job Interview Dos and Don’t, please check out Vault Video’s Guide to Interview Dos and Don’ts. Before I started college at Ivy Tech 4 years ago, I had many job interviews. I never got hired anywhere. There were many reasons. I believe that I might have given the wrong response at most of the interviews. I am happy being a full time college student at this time in my life at IUPUC.